As a result of food waste and animal agriculture concerns raised by students during Welcome Week, Green Week was planned to raise awareness of food sustainability issues. 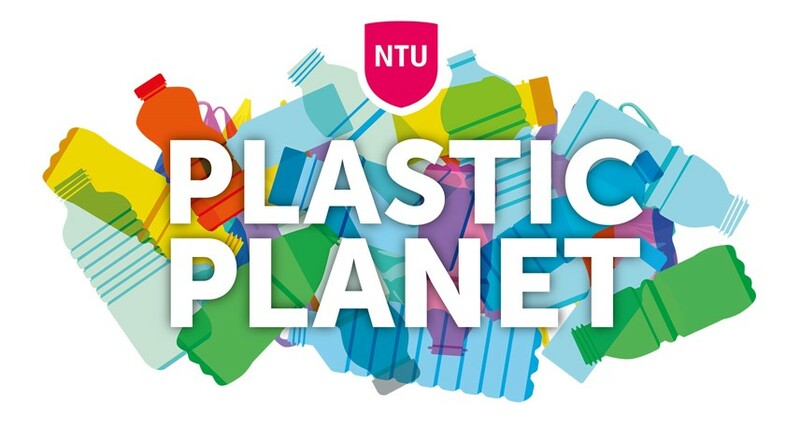 During the 2017 Welcome Week at Nottingham Trent University, students were invited to list their Eco Concerns (concerns about the environment) on the mascot elephant. 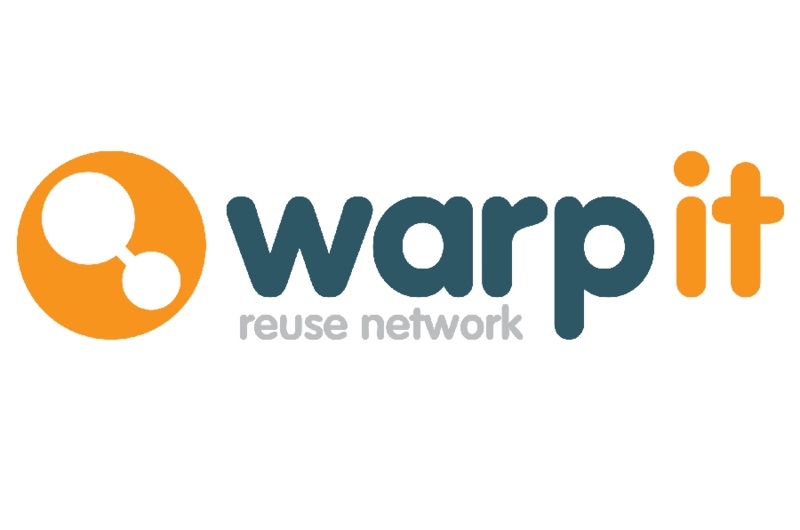 The information recorded showed repeat concerns relating to 'waste', 'recycling', 'food security', 'veg patches', 'lack of vegans', 'be veggie', 'waste reduction', 'food', 'food waste'. 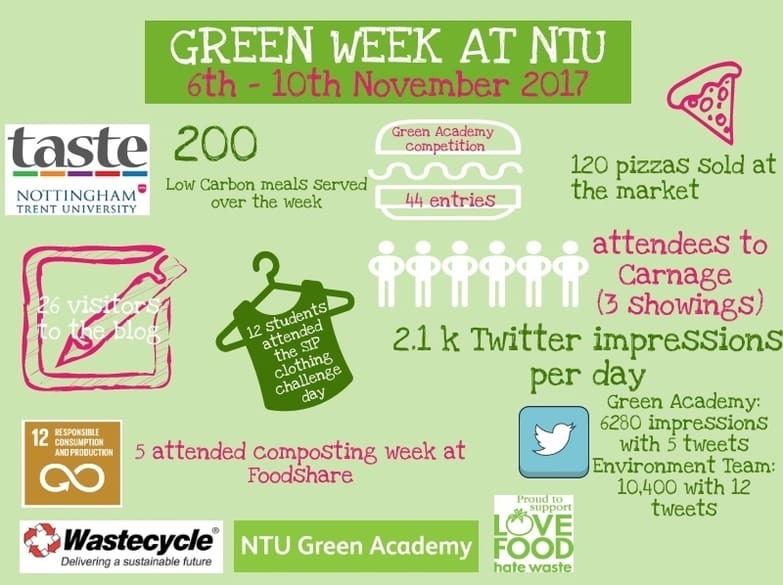 As a result, 2017 NTU Green Week was planned to raise awareness of how changes can be made and highlight the work that the university is doing to minimise food waste. In line with the Strategic Plan, NTU is dedicated to working towards achieving the 17 United Nations Sustainable Development Goals. Goal 12: Sustainable Consumption and Production highlights that each year, across the globe, one third of all food produced is wasted. So what did we do? As an institution, 2017 has seen the introduction of food waste caddies across the City campus and within Brackenhurst accommodation. During Green Week, targeted information to raise awareness surrounding the new facilities and their purpose on campus was highlighted to staff and students. We planned a whole host of events: a Love Food Hate waste workshop focusing on food planning, portions, packaging and dates; we showcased 'Carnage: Swallowing the Past' at the City, Clifton and Brackenhurst campuses; scheduled two Sustainability In Practice Challenge days and set the topic of composting for the weekly Foodshare allotment session. If you dine in the main Dine outlets you will have seen the Low Carbon menu and at Clifton on Tuesday we braved the elements to bring you the NTU market.